Getting healthy and/or losing weight doesn’t mean you have to make lots of huge changes all at once. Just making a few changes, one at a time, like the ones below can make a big difference. If you want to be kept up to date on more healthy living posts like this, then please subscribe to the blog mailing list (it takes 30 seconds) and you will get sent the new recipes straight to your inbox. Your email address won’t be passed on to anyone and you will never be spammed. Click here to sign up. I tried so many crazy diets over the years, all of which meant making huge changes that left me feeling so overwhelmed. If you change too much at once, you are more likely to give up. So, instead, try making one change at a time and you are more likely to stay on track. These are some of the changes I made in the beginning. 1. Read the ingredients on all the food you buy. In the beginning, this might take a little while to check everything that you buy. But as time goes on and you start eating less processed food, you won’t have so many things to check. Just take a quick look at the ingredients list to see what is in the food you are eating. As I general rule, I avoid anything that has a really long list and anything artificial in it like sweeteners. If you have a bit of extra time, try Googling some of the ingredients to see what they are. Some of them might surprise/scare you. You have probably heard this one a lot before, but that’s because it is so important. Staying hydrated is really important to being healthy, but it can also really help with bloating. If you find it difficult to drink plain water, try adding some mint and cucumber to it or some lemon and lime slices to liven it up a bit. There is no certain amount you should drink, as everyone is different depending on their activity levels, so listen to your body. Make sure you don’t drink too much though, as that can be damaging. This is one for your mental health, but that can have a big impact on your physical health too. If you spend all day thinking about everything that you don’t have or everything you are not, then that is going to make for a pretty stressful life. You will also miss out on appreciating all the amazing things you do have in your life. So, each night before you go to bed, think about one thing that you are grateful for. If might be nice to write them down and keep them in a jar to look at at the end of the year, or when you are having a bad day. Whilst you might think that skipping a meal means you are eating less and therefore being healthier, it doesn’t work out like that. Eating regular meals keeps your blood sugar levels stable, which means you are less likely to have a sugar crash and then make an unhealthy choice. Eating regular meals also means you are eating enough, which IS important to health and weight loss. 5. Fit in a small workout. Most people skip workouts because they think they just don’t have the time. Whilst a lot of people have more time than they think (it comes down to making priorities and cutting back on things that are not as important), I also appreciate that a lot of people don’t have time to do an hours workout 5 days a week. You don’t have to! Doing a 10 minute workout can also make a difference and it is better than no workout at all. Make the most out of the time and do something high intensity if you can. If you can’t do a full 10 minutes, just fit in some squats, push-ups and jumping jacks throughout your day. 6. Write out a plan for the week. I find that writing out a plan on a Sunday night for the week ahead really helps me to stay on track, especially with my workouts. I schedule them in, just like I would any other appointment and I stick to them. With my eating, I plan out most of my meal, but I still allow room for some flexibility, as sometimes I have a craving for a different type of meal. 7. Keep track of what you are eating. I know this doesn’t work for everyone, but it really worked for me. Knowing that I had to write down what I was eating helped me to make better choices and looking back at my week’s eating at the end of the week helped me to see where I went wrong, or where I went right. It’s also really surprising to see sometimes just how much you are eating. I never thought I ate that much when I was overweight, but seeing it all written down was a shock. 8. Make more meals yourself. I used to live off ready meals or takeaway or those ravioli in a tin things. When I decided that I needed to totally overhaul my eating habits, cooking more meals myself was the first thing on the list. I decided to start slow and just make all my breakfasts myself, rather than getting something at the University cafe (oh how I miss those giant breakfast sandwiches). After that, I moved on to lunches and then dinners. This way, you have total control on what goes in to your food and how big the portions are too. 9. Eat more colourful foods. Have you ever noticed that most foods that are bad for you, or that should be limited, are usually white or grey? Some of the best foods in the world for you are bright in colour. So try to eat the rainbow – no, that doesn’t mean Skittles. Try adding more green, purple, orange and red foods to your diet for a health boost. 10. Stop talking to yourself negatively. Do you find yourself using words like fat or stupid when talking about yourself? Well, STOP IT! These kinds of words are bad for your self image and you should be working on a positive body image. Instead of focusing on negative things or the things you don’t like about yourself, focus on the positive, and how proud you are of yourself for working on the things you want to change. 11. Sign up for an event. If you are trying to improve your fitness levels, then signing up for an event like a race can be really good motivation. It will give you a date to aim towards and you can schedule your training round it too. Perhaps sign up with a group of friends and you can train together and give each other support and motivation. Oh how I love those sugary drinks from Starbucks. I used to drink one every morning during my first lecture at uni and not only was I spending a fortune, but I was using about 500+ calories each time on just a drink. So, I swapped them for normal coffee with a splash of milk and saved my calories for food instead. Even though at the time I was still eating junk, I was having 500 calories a day less by cutting back on those drinks. 13. Try some new foods. I often hear people say that healthy eating is boring and my reply to that is usually that they are not trying enough new things. The great thing about supermarkets now, is that they usually stock loads of amazing produce from around the world. Take a look at the fruit and vegetables and buy something you have not heard of before. Also, try a new herb or spice. Trying new things can make healthy eating much more exciting and you are more likely to stick to it. This was actually one of the first things I did when I started exercising. Walking was the only thing I was able to do, which is fine for a beginner, as it is a really good workout. I tracked my steps every day and aimed to do 10,000 a day. It became a little competition with myself. I wanted to reach that goal, even beat it, every day, so I would do things like take the stairs instead of the lift or get off the bus a stop or two early, just to get my steps in. I swear that made the biggest difference in the beginning. 15. Stop thinking of it as a diet. This is as simple as changing your mindset. Well, I guess not really simple after years of the media shoving diets down our throats. But seeing it as a healthy lifestyle, that will have ups and downs, rather than a restrictive diet that you can fail at, will really make a difference. There is no failing on a healthy lifestyle. You will have off days/weeks/months, but as long as you always pick yourself up, you have never failed. 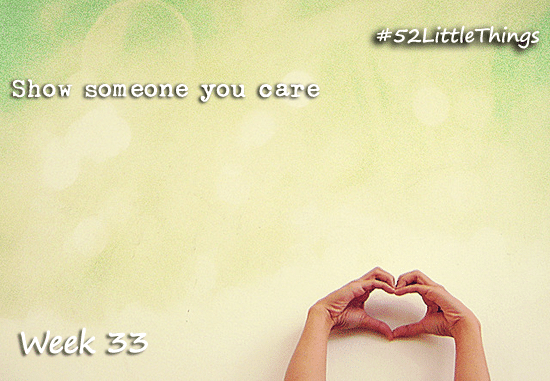 This week’s Little Change in my AXA PPP healthcare 52 Little Things challenge is to show someone you care. I think that one of the most important things is to love yourself and care for yourself by making little changes to your health. If you want to show someone that you care, share this article with them so that they can make small changes to their health too. 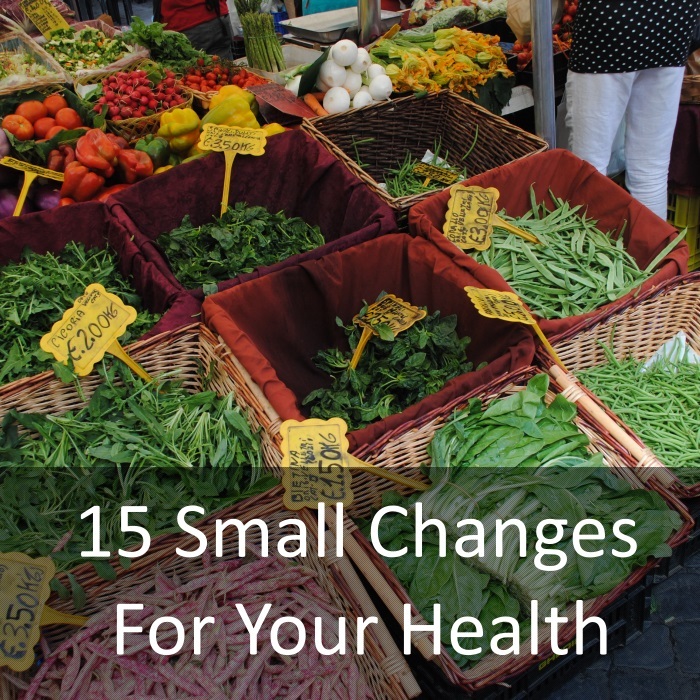 What small changes have you made that have made a big difference? Leave a comment below. There’s just so many of your posts I need to print out and hang up!!! So many great tips to make a difference and be healthy. I love the idea of having a meal plan for the week. So often I have gone shopping and come back with loads of stuff but not enough for a weeks menu. Then every time I pop in to a supermarket – I end up buying more stuff or even easy unhealthy meals as I am running late. I don’t know either. I love food too much! I love all of these! I literally cringe when I hear people say the word diet. Very true.. specially as one gets older you have to take good care of your health and diet. 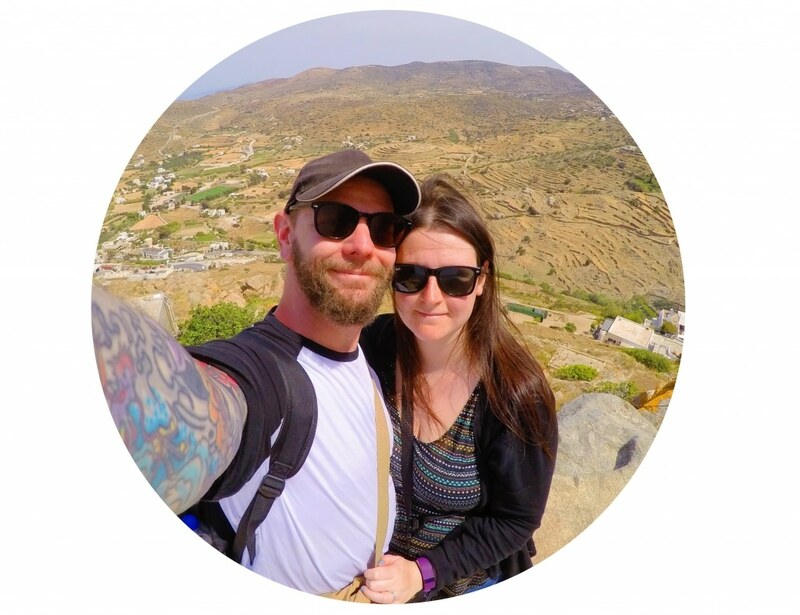 Great tips, I’m definitely with you on those, I know I’l be using the pedometer function on my fit bit once the baby has come and I’m starting to increase my exercise again. Planning is a huge one for me as well, it makes such a big difference. The first produce thing I tried that was new was a golden beet. I had never heard of that before. I’ve seen regular beets, but not a golden beat. It was on sale and on a whim, I bought it. Then, I looked up what the hell to do with a golden beet and found this awesome recipe with balsamic vinaigrette. It was amazing and I was forever changed. Now, I look out for new produce to just buy and figure it out later. I don’t think I have seen a golden beat before. I will look out for it. love the information you provided, do most of the things, start doing what i am not doing it. Great tips and advice. I would say a big one is not to beat yourself up about failure. If you have that large slice of cake or takeaway don’t fall into a pit of despair. Draw a line under it and move on and make better choices tomorrow. But also don’t throw the towel in completely and think “Oh well, I might as well have the rest of the cake now”. That’s a great one! I used to fall in to that and if I had a bad Friday night, then I would write off the whole weekend and just eat whatever I wanted. I do love a kitchen workout! I do push-ups after every visit to the bathroom too. If you could give me the recipe for a healthier version of a Staarbucks mocha, that would be amazing! I am working on lots of Starbucks recipes. Such great tips Dannii. I am going to try and do more of them, as I am trying to lose a few lbs before my holiday. Yes, I am not that great at avoiding Starbucks drinks, especially once the Christmas drinks come out. I have been trying to stay in and cook new recipes lately. That way you know exactly what your eating.It is so much healthier. Plus, I really think cooking is fun. It’s really nice to sit down to a meal with a sense of achievement that you have made that yourself, and it is good for you too.